Head lice are tiny insects that live in human hair. They're particularly common in children. Head lice are tiny insects that live in human hair. They are particularly common in children. Head lice are whitish to grey-brown in colour, and smaller than the size of a pinhead when first hatched. When fully grown they're about the size of a sesame seed. They can't fly, jump or swim and are spread by head-to-head contact, climbing from the hair of an infected person to the hair of someone else. A head lice infestation isn't the result of dirty hair or poor hygiene. All types of hair can be affected, regardless of its length and condition. Head lice only affect humans and cannot be passed on to animals or be caught from them. Head lice often cause a person's scalp to itch. Itching isn't caused by lice biting the scalp, but by an allergy to the lice. However, not everyone is allergic to head lice, so you or your child may not notice a head lice infestation. 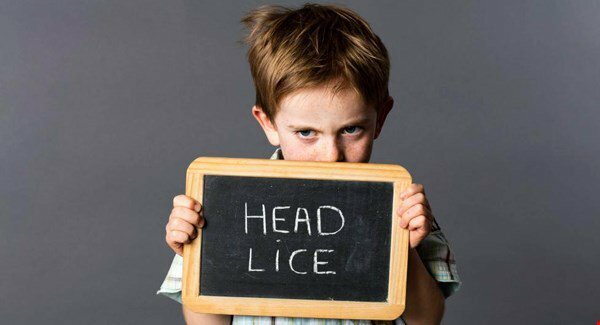 Even if someone with head lice is allergic to them, itching can take up to three months to develop. In some cases, a rash may appear on the back of the neck. This is caused by a reaction to lice droppings. A female head louse lays eggs by cementing them to hairs (often close to the root), where they are kept warm by the scalp. The eggs are pinhead-size and difficult to see. After seven to ten days, the baby lice hatch and the empty eggshells remain glued in place. These remains are known as nits. Nits are white and become more noticeable as the hair grows and carries them away from the scalp. Head lice feed by biting the scalp and feeding on blood. They take nine to ten days to become fully grown. Head lice normally only crawl from head to head when they are adults or nearly mature juveniles. A female head louse may start to lay eggs from nine days after she has hatched. Therefore, to break the cycle and stop them spreading, they need to be removed within nine days of hatching. Head lice can be difficult to see, even when the head is closely inspected. Unhatched eggs or nits (empty eggshells) alone aren't enough to diagnose an active head lice infestation. This is because it can be difficult to distinguish between eggs and nits that are dead or alive. Nits also usually remain glued to hairs long after successful treatment. To confirm an active head lice infestation, a louse must be found through a reliable, accurate method, such as detection combing. Detection combing is the best way of finding head lice. It involves using special fine-toothed head lice comb with a tooth spacing of 0.2-0.3mm to comb through the hair. The comb can trap even the smallest lice. It works better on wet hair but can also be used on dry hair. Head lice can usually be effectively treated with lotions or sprays designed to kill head lice, or by wet combing, using specially designed head lice comb. Wet combing can be used without lotions or sprays, but it needs to be done regularly and can take a long time to do thoroughly. Lotions or sprays can be used as an alternative. However, to be totally effective they need to be applied correctly and thoroughly. Your pharmacist will be able to recommend an over-the-counter lotion or spray and give you advice about how to use it correctly. It is difficult to prevent a head lice infestation because head lice are spread by head-to-head contact. Regular detection combing for example, on a weekly basis is the best way to find new lice quickly. Lotions and sprays don't prevent head lice infestations and should only be used if a live louse has been found on your, or your child’s, head. Head lice can be effectively treated with medicated lotions or by wet combing using a specially designed head lice comb.